We are now halfway through our Kickstarter campaign, and it is time to highlight one of the rewards we’re offering. In this update, you’ll get a sneak peak into the process of writing the novel for Cross of the Dutchman. In order to do this, we need to go all the way back to the start of the project. During our research, we came across several books about Grutte Pier. We found that some of them were very factual, where others seemed more like individual stories about our hero. On top of that, none of the books were very exciting to read, mosty because of the dated style in which they were written. We used the books as a reference, but when we started writing the first draft of the script, we immediately saw that there would be a huge opportunity for an exciting and modern novel about Grutte Pier. Then, for a while we focussed on getting the technology for the game up and running, so the ideas about the book were put on hold. Until, that is, we were reminded by one of the visitors of the CotD blog about the possibilities. This is where things started to get moving. Remco ended up meeting with Afûk, a publisher of Frisian books, a company with a very flexible and modern approach to book publishing. Ernst Bruinsma, Editor in Chief introduced author Ate Grypsta, who had recently released his thriller novel “It beest fan de Westereen” (the animal of the Westereen), and who was clearly up for a new challenge. The chemistry betweem Ate and Triangle was there immediately, and after doing the math, the decision was made to write and publish a new book based on the script for Cross of the Dutchman. At the moment, Ate is hard at word writing the novel, and we are working in close collaboration to ensure that boh book and videogame complement each other. Just last Friday, Ate visited the Triangle office, and we recorded a video of him explaining his drive for being a writer in general, as well as for this lastet book of his. 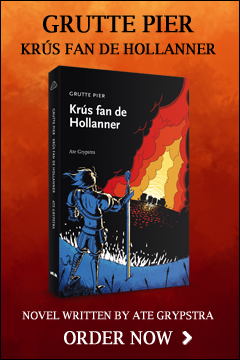 We are proud of the fact that the novel will be written entirely in Frisian, but not to worry, there will be both Dutch and English versions available as well. Back to the project, last week we held a Game Jam at Triangle. The assignment was simple: Come up with a cool idea for Cross of the Dutchman. Two teams worked the entire day, and were able to come up with some very impressive demos! Check out the fruit of their labor in the following YouTube video (gameplay footage included!). In the meantime, our Kickstarter campaign is not doing well enough. We’re getting messages every day of people making very good suggestions on how we can improve, but it seems that our efforts have yet to reach the broader audience we need in order to become successful. The team is giving it their very best to complete the gameplay material as soon as possible, hopefully that will trigger a lot of blogs and websites to write an article about us and give us the boost we so desperately need. To close off, I would once again like to thank everybody who has already backed Cross of the Dutchman, and please remember to tell your friend about the project as well, we need all the attention we can get! With all due respect, but with 14 days left I don’t see a 100% fund seeing you’re on 16%. Any big plans yet? What if I support this project and you’re not getting the 100% fund? Where does my money go? Hi Squ1zZy, we’re certainly hoping for an end sprint once we release our gameplay trailer. Two weeks is still a lot of time, I’ve seen closer calls on Kickstarter. If we don’t make it, Kickstarter will not charge your credit card. If you paid with Paypal, we will refund you or turn it into a regular pre-order depending on your wishes. 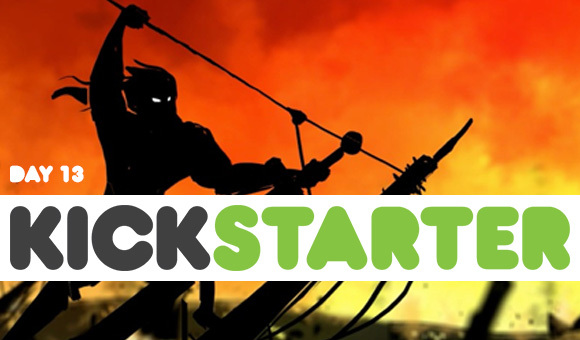 With a pre-order, you still get the same stuff as you would with the kickstarter backing? Maybe you could also try to reach the people themselves through popular sites, that may help even better.